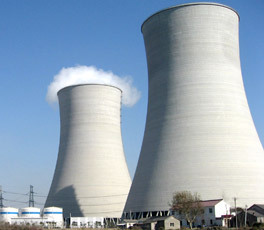 To restore investor confidence, enterprises should make efforts together with policymakers to reverse low market expectations amid panic triggered by the global financial crisis, experts said on Friday. 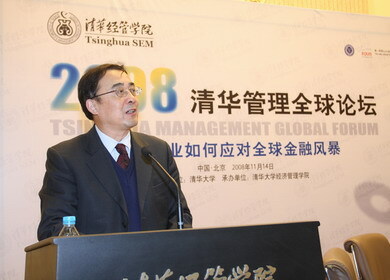 Xie Weihe, vice president of Tsinghua University delivers a welcoming speech at the Tsinghua Management Global Forum held in Beijing, Nov 14, 2008. The nation's 4-trillion-yuan economic package is far better than any buffer fund for the Chinese capital market, a noted economist said at a forum in Beijing on Friday.